REDE is one of the biggest and more trusted Brazilian brands of credit card machines. Make payment available on your online shopping business for MasterCard®, Visa, Diners Club International and, as an exclusivity of Komerci, Hiper and Hipercard. Your clients can pay in 12 monthly installments with their credit card, and enjoy the checkout inside the Prestashop store. The “Komerci 4 Prestashop By DJTAL” grants full access and compatibility of your Prestashop store with Komerci, the e-commerce payment solution of REDE. Fraud risk tracking – Using our tool with Clearsale technology you can track all the transaction process and have warnings of all fraud risks as they happen. AVS (Confirmation of the client’s data on time) – Confirmation of the exactitude between the identification and address data in the visitor’s registration and in the credit card billing information. International SecureCode – Accept with the same security credit cards from all over the world. Gain time to analyze your sales. Reserve capture process until the cardholder billing time limit. You will have a 15 days deadline to analyze, authorize and deliver your product or service. Komerci is a payment gateway that dismisses third-party processors. This way you will not pay tuitions, only a tax over each sale. Your Prestashop cart will work normally, as you have set it for your e-commerce website, without website redirection. Offer more payment options. With “Komerci 4 Prestashop By DJTAL” your client can pay with Hiper and Hipercard, besides MasterCard®, Visa and Diners Club International. 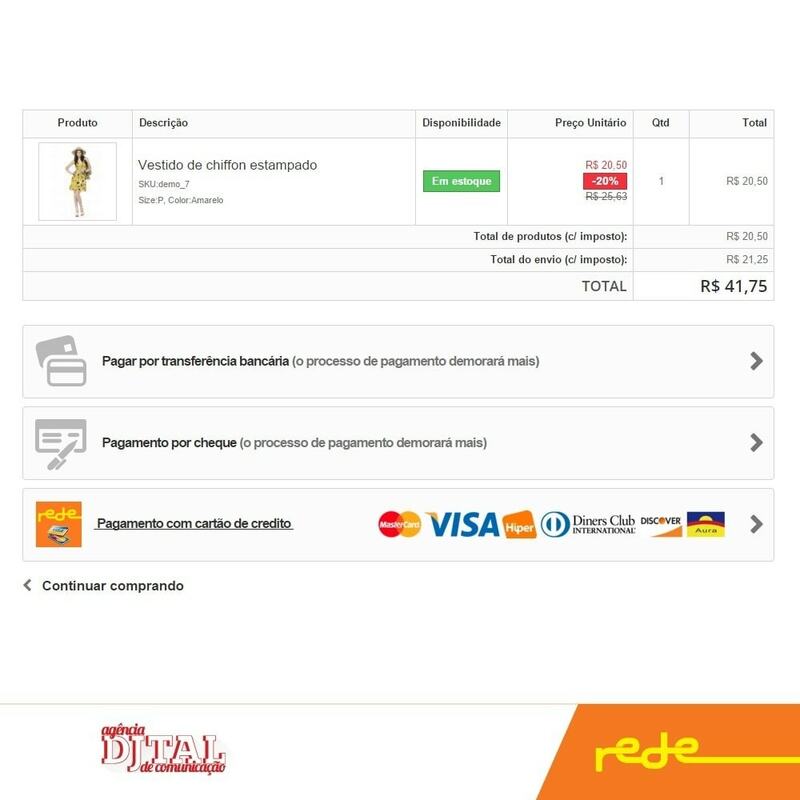 This is a payment method known by the Brazilian customer outside the virtual space; REDE is one of the biggest and more trusted Brazilian brands of credit card machines. Have total security receiving credit card payments with a module made specifically to connect Komerci, the e-commerce payment solution of REDE, with Prestashop. When finalizing the online purchase your customer has only one thing on his mind, security. 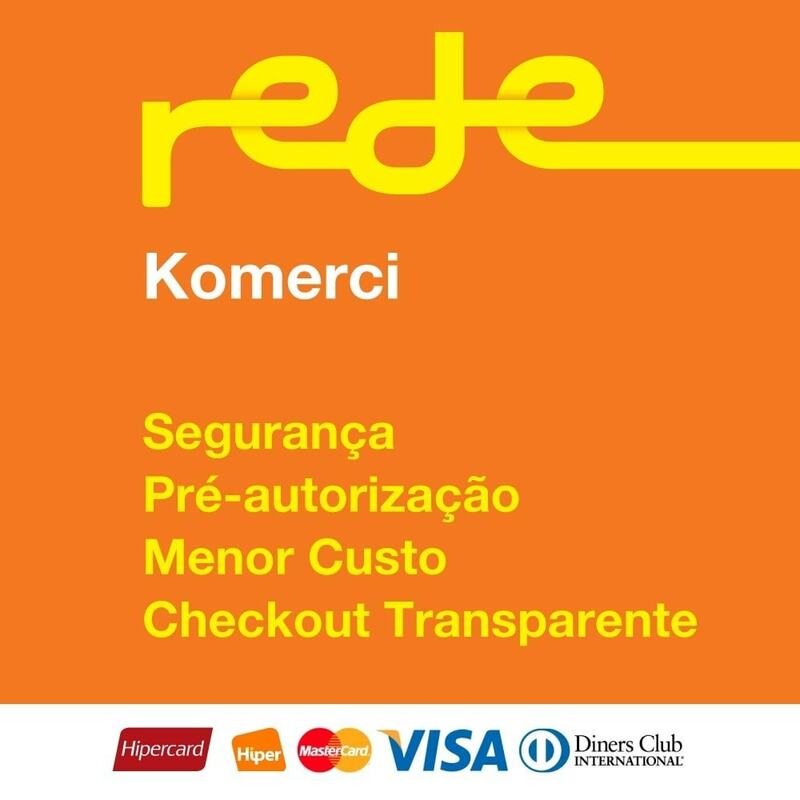 The module “Komerci 4 Prestashop By DJTAL” was developed thinking of the trust that the Brazilian public has on the services of REDE and its e-commerce solution, Komerci. First visitors will trust your website more since all the purchase process happens inside your Prestashop online store. Brazilians will feel confident paying through a solution of REDE. The availability of payments via installments is essential for sales. Money will only come out of your client’s account when there is no doubt that he will receive his purchased product or service. “Komerci 4 Prestashop By DJTAL” is a very simple module. 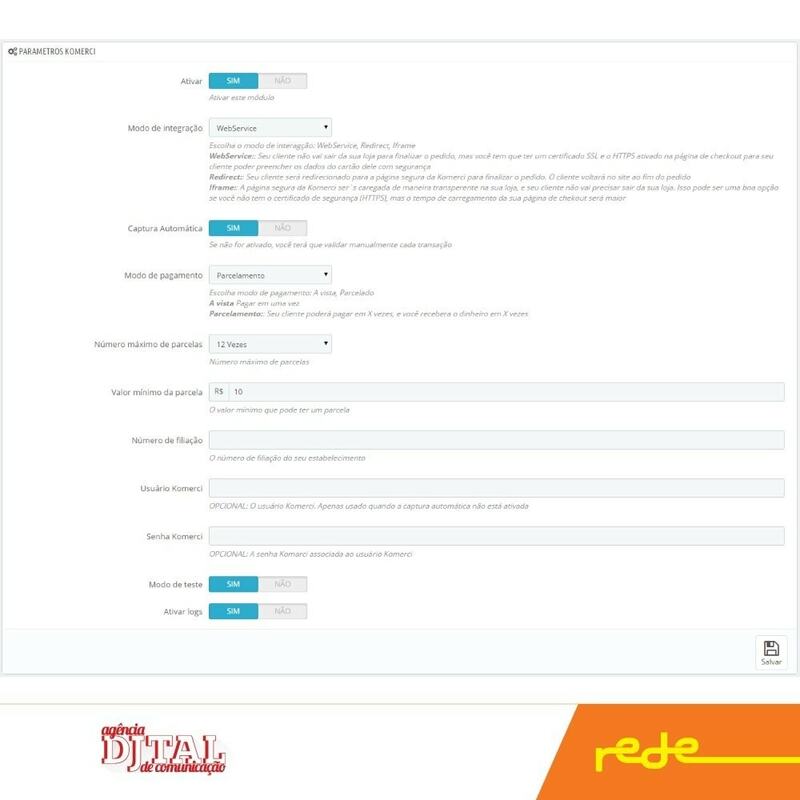 Once you have an account with REDE’s Komerci, just go through the normal steps of a Prestashop module installation.